Hey Trendliophiles, What’s that you’re listening to? Perhaps the latest from Terence Trend D’arby? 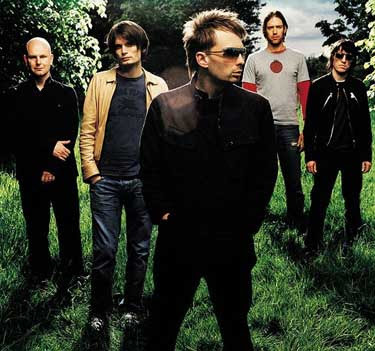 Oh, It’s Radiohead…and they’re still as good as they ever were? What’s that you say, the greatest band in the world? Wow, that’s a big statement, but of course they are. It would be downright untrendly of you not to say so. In fact, supporting your favorite band past their artistic peak no matter how little you presently identify with their current output is so in, as is berating people who disagree with the intangible proof of your viewpoint despite the fact that music appreciation is totally subjective. After all, what’s more friendly and trendy than informing people of what they should think is cool according to your tastes. That reminds us, have you heard the new Wilson Phillips record? It’s totally going to win a Grammy. They’ve really grown up on this one and I think they used the same producer that worked on Jesus Jones’ second album, so it really takes them into a whole new place sonically. That being said, we here at the Trendliest have a few albums that we’re totally looking forward to whenever they should happen to come out. 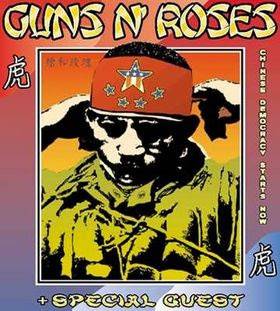 The first one on our must have list is Chinese Democracy from the hop hot duo of Axl Rose and KFC-face. If this album is any bit as good as their previous homophobic, misogynistic efforts you can count us in for two copies. We have a feeling that throngs of people already agree, this is the greatest album ever to maybe be in existence. Our next pick of the musical litter is the latest from Hootie & The Blowfish. We’re not sure when their next album comes out or what it’ll be called, but ever since these soft rockers encouraged us to “Let Her Cry” we’ve been holding back streaming saltwater from our tear ducts in anticipation of the next time an opportunity presents itself for them to extract an equal amount of water weight from us via the magic of music. Yes, we here at the Trendliest are quite on top of the supporting bands past their artistic peak trend. We’ve seen the Rolling Stones play 16 times since 1998 and had gold circle seating every time! Speaking of which, did anyone get tickets to see Radiohead at All Points West? Word is they might play “Creep”.